Rajinikanth, who has often joshed about a supposed affinity to the BJP, was more restrained. "Election results in five states a setback," said the 67-year-old, whose change of career had raised a stir in the BJP camp, which had invited him to join their party. 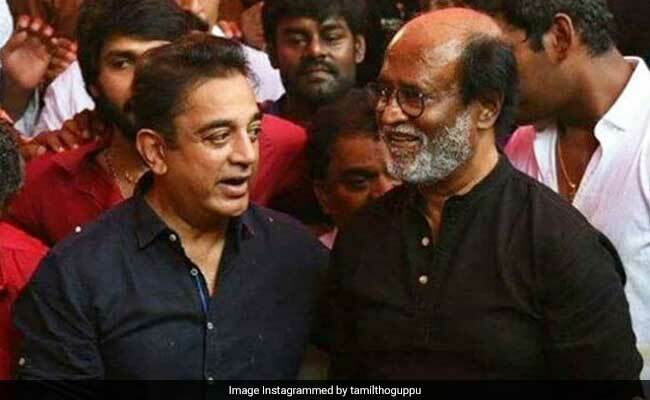 The opposition jubilation over the Congress triumph in three heartland states - Rajasthan, Chhattisgarh and Madhya Pradesh - has also touched two newcomers to politics: Actor-politicians Kamal Haasan and Rajinikanth. Kamal Haasan, who had made his aversion to the BJP clear, tweeted: "First indication of a new beginning. This is people's verdict." Rajinikanth has always parried questions on the matter. "People keep saying the BJP is behind me. That is not true. Only God and the people are behind me," he said earlier this year. One of the supporters of notes ban, he had ended up criticizing it, saying its implementation was "flawed" and the matter "should be discussed in detail". Tamil Nadu's opposition DMK -- which insisted that Rajinikanth's aim of practicing "spiritual politics" indicated a leaning towards the BJP and its ideological mentor, the Rashtriya Swayamsevak Sangh. The actor, the DMK had alleged, was supported by communal elements. Rajinikanth has repeatedly clarified that to him "spiritual politics" was a term to specify a brand of politics that leaves out religion and caste. Kamal Haasan, 64, on the other hand had made his stance clear. Once asked about the prospects of him striking an alliance with the BJP, Mr Haasan said it would be "unlikely if his colour is saffron". The two superstars of the Tamil film industry had stepped into the political vacuum left after the death of the state's former Chief Minister J Jayalalithaa. Kamal Haasan had been an outspoken critic of the E Palaniswami government, often locking horns with ministers and leaders of the AIADMK over policy and governance issues.